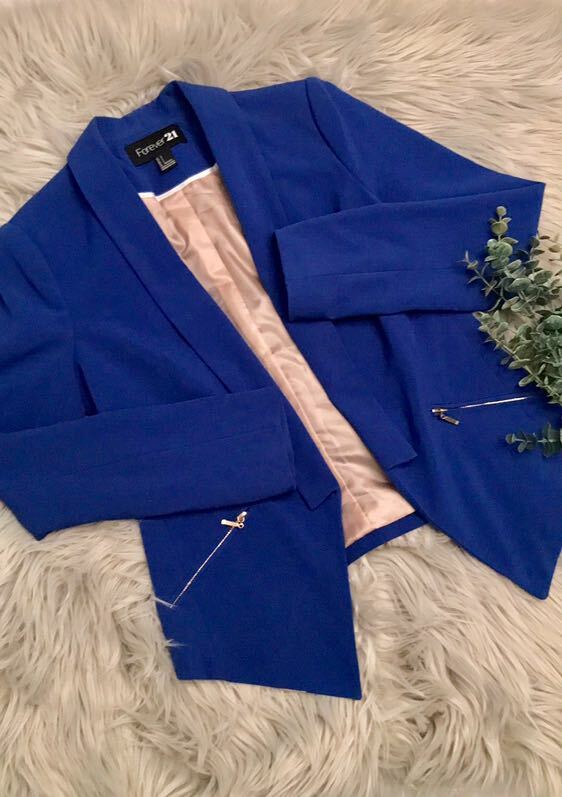 Beautiful blue Forever 21 blazer. Zippers work, but they are faux pockets. Beautiful gold lining. Padded shoulders for a more tailored look. Size S.